With our powerful subliminal messages you can do exactly this - in just 20 minutes a day! With our 250+ subliminal mp3s you can program your mind for success - whatever your goals are! 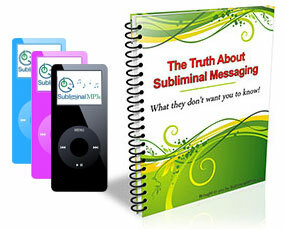 Or if you are new to subliminal messaging you can receive 3 free subliminal mp3s and see the benefits for yourself! Subliminal messages work as a mild form of hypnosis - gradually sending suggestions into your subconscious mind to rewrite your self beliefs, ways of thinking, and even patterns of behavior. These messages bypass your "logical" conscious mind so avoid any resistance which would usually hold you back. Because of this you can develop in ways which would not be possible with conscious personal development alone.